Rollette Chiropractic Center's Information Station is a great place for visitors from the Hammond, LA area and beyond to find reliable, useful information on natural healthcare and wellness. From current topics in the news to product reviews to everyday lifestyle tips, we've got it all. Many parents say they wish they could get more fruits and vegetables into their kids' diets, but what if we told you that there's a great way to use your children's sweet tooth to your advantage? 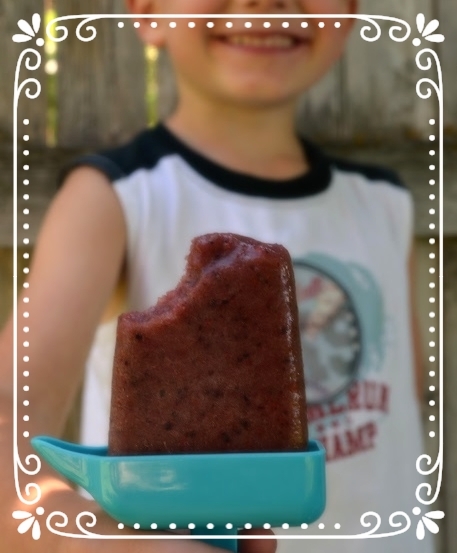 Tasty popsicles made with Greens First can help your kids beat the heat and get a full serving of beneficial nutrients and probiotics at the same time. 1. Combine 6 scoops of Greens First Berry with 32 ounces of cold water in a pitcher. 2. If desired, add 2 tablespoons of fresh-squeezed lemon juice, lime juice, or orange juice for additional flavor. 3. Fill a popsicle mold with the mixture. 4. Freeze mixture until solid. 1. Mix 6 scoops of Greens First Chocolate with 32 ounces of cold almond milk in a pitcher. 2. Fill a popsicle mold with the mixture. Both Greens First Berry and Greens First Chocolate varieties are available at Rollette Chiropractic Center. For more information, please call the Front Desk at (985) 345-9504.